The state’s 2017 survey is a minimum count due to the difficulty of accounting for every animal, especially lone wolves without a pack. Survey findings reflect information from aerial surveys, remote cameras, wolf tracks, and signals from radio-collared wolves. Five new packs were documented—the Frosty Meadows, Grouse Flats, Leadpoint, Five Sisters and Togo packs—all located east of the Cascade Mountains. Ben Maletzke, WDFW statewide wolf specialist, emphasized that the annual survey adds to data about larger recovery trends. A regional non-profit organization, Conservation Northwest has been actively engaged in wolf recovery and conservation in Washington for well over a decade. In 2008 the group discovered the first wolf pups born back in the state in nearly a century—the Lookout Pack in the Methow Valley. The organization played an active role in the formation and approval of Washington’s Wolf Conservation and Management Plan (Wolf Plan) in 2011, and has long participated in the state’s Wolf Advisory Group (WAG), represented by Policy Director Paula Swedeen, Ph.D. In addition to advocating for wolf conservation and management policies that further long-term wolf recovery and acceptance alongside thriving local communities, the organization leads the Range Rider Pilot Project, a collaborative effort with large Eastern Washington ranches, now in its eighth year, to implement non-lethal conflict avoidance measures that reduce or prevent depredations on livestock. Conservation Northwest also offers standing rewards of up to $10,000 to bring wolf poachers to justice, works with hunting groups and others to increase tolerance for native carnivores, and supports research on the expansion of wolves in Washington and potential effects on other native wildlife populations, including deer, elk, moose and mountain caribou. 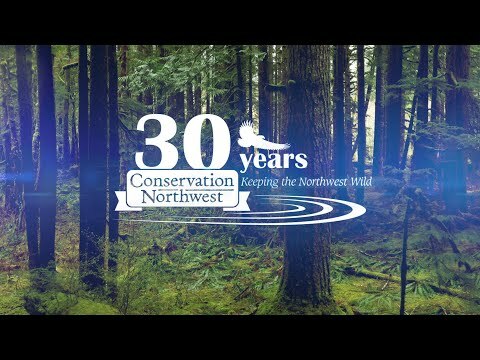 For media inquiries, please contact communications@conservationnw.org. Read the full annual report here. This page will be updated with links, wolf pack maps and more detailed information as it becomes available. For additional perspective regarding Washington’s Wolf Plan and the recovery goals within it, please see this statement from Sunday, March 18, 2018.